This range has been designed to include the most up to date fashion whilst wearing a waterproof ankle gumboot. 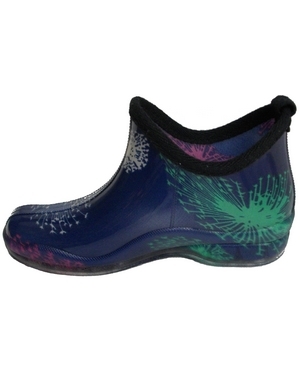 The Bella Range is made with vibrant prints and soft binding around the top and innersole. It is a fashion Gumboot for every day wear.